PTFE has the best chemical corrosion resistance among konwn plastics. 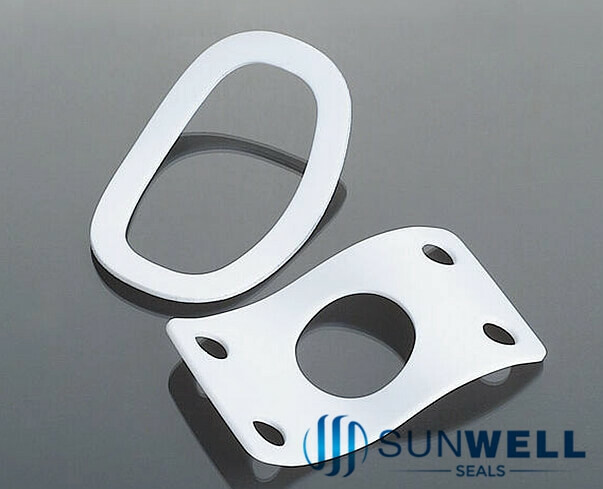 SUNWELL supply complete range of PTFE gaskets. 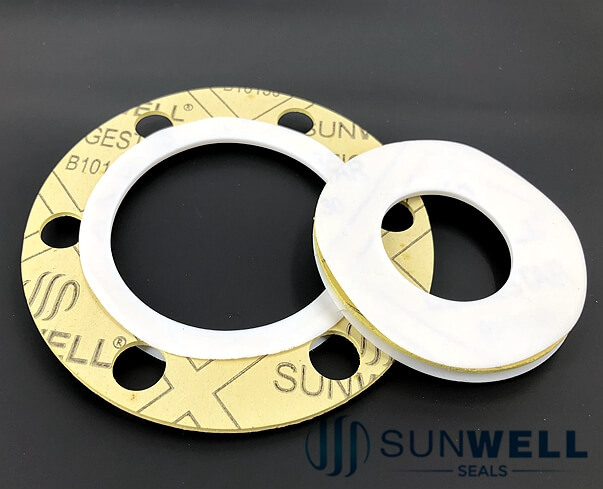 Solid PTFE, Expanded PTFE Gaskets, and PTFE Envelope gaskets.. 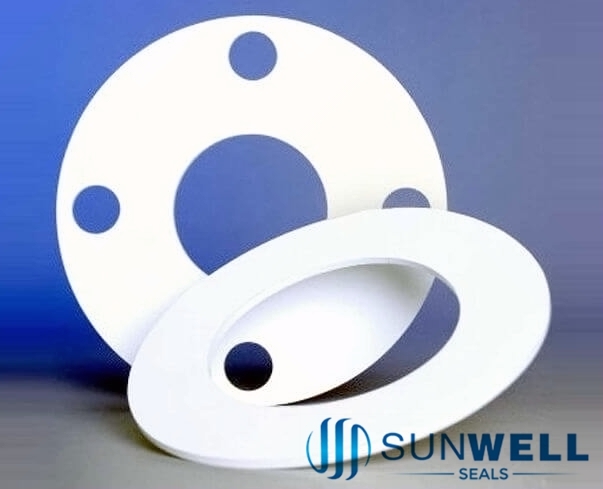 The Modified PTFE for use as a gasketing material with strong chemical resistance properties and designed for severe chemical service, color-coded for easy identification, superior sealability, which helps reduce process and media loss as well as fugitive emissions, reduced creep and cold flow characteristics. 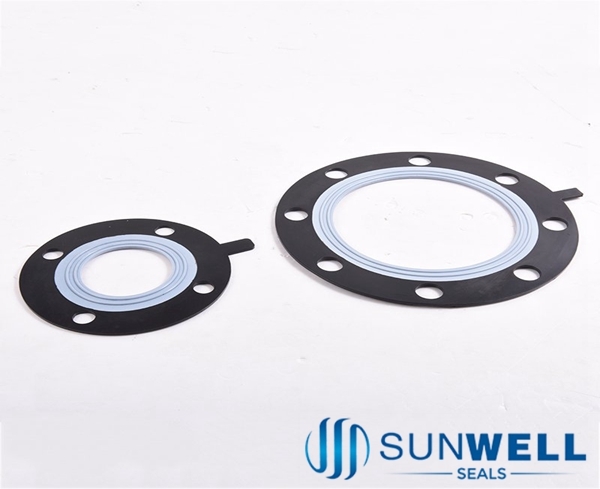 SUNWELL SEALS supply complete range of PTFE gaskets. 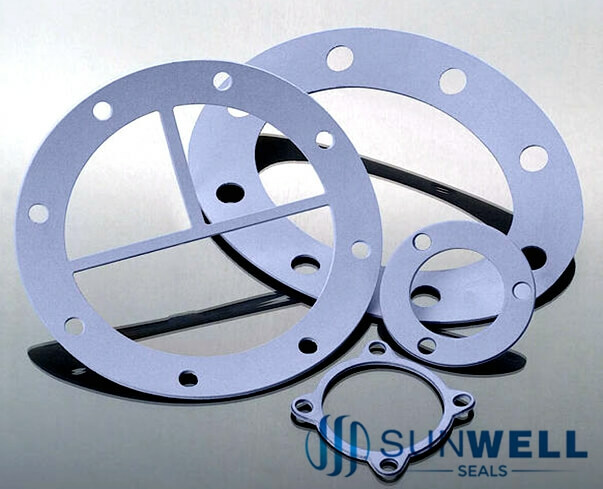 Solid PTFE, Expanded PTFE Gaskets, PTFE Enveloped gaskets, Modified PTFE Gaskets.